Readers will find this Matilda chapter summary to be most beneficial if consulted prior to reading each chapter. The information is meant only as a brief introduction to each chapter, and since many details are not included it should not be used in lieu of reading the entire book on your own. Chapters are named, not numbered, and we will address them in order of appearance according to the book. This Matilda chapter summary may be used alone, or in conjunction with other articles from the study guide series which explore the author, plot, setting and characters. In this first chapter, we are reminded that some parents over-estimate the abilities of their children while others "show no interest at all" in theirs. (p. 10) It is here that we learn Mr. and Mrs. Wormwood are parents of the latter type. They are parents who were "so wrapped up in their silly little lives that they failed to notice anything unusual about their daughter." (p.10) It is then that we are introduced to little Matilda, and see just what the parents are missing. The narrator first and foremost describes Matilda as sensitive and brilliant – but above all, brilliant. Her abilities are wasting away in a home that values TV more than literature, and Matilda does not truly begin to thrive until she befriends the local librarian. Mrs. Phelps introduces Matilda to classical literature meant for readers far beyond her 4 1/2 years of age. The books transport Matilda "into new worlds and introduced her to amazing people who lived exciting lives." (p. 21) Perhaps it is this awakening which serves as the catalyst for a series of pranks Matilda plays on her family in the coming chapters. What evidence do we have that suggests Matilda might be a child-genius? Why is putting sawdust in a gear-box or turning back the mileage on a car considered dishonest? On p. 29, the narrator says that "all the reading she (Matilda) had done had given her a view of life that the (her parents) had never seen." What does the narrator mean by this statement? Matilda plays her first prank on her family by squeezing superglue inside the rim of the hat her father wears. As a result, his hat becomes glued to his head and he is unable to remove it. Matilda believes it is "too much to hope that it had taught the father a permanent lesson." What does this mean, and do you agree with her? Matilda plays the second prank on her family. Using a friend's parrot she manages to convince her parents that there is a ghost in the house. What two events led to Matilda's decision to play the second prank? Here we see yet another example of just how briliant little Matilda really is as she completes difficult computations in her head. In keeping with his character, Matilda's father accuses her of being "cheat and a liar," (p. 55) instead of being impressed by her cleverness. What does the narrator say is the only kind of power that Matilda has over her family? Why is this power important? Matilda plays another practical joke on her father with the aid of her mother's hair-dye. Why did Matilda feel the need to retaliate this time? What does Matilda's mother say she will find out when she gets older? What does Roald Dahl mean by this comment? 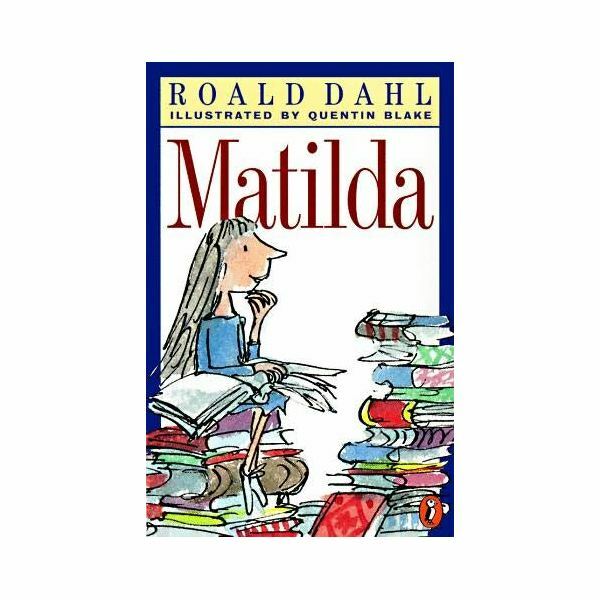 Matilda enters school, and it is here that we are introduced to several other important figures in the story – Miss Trunchbull (the school's Headmistress), Miss Honey (Matilda's classroom teacher) and several of Matilda's classmates. We also learn more about Matilda's extordinary intellect. She is so advanced, that Miss Honey takes it upon herself to lobby for Matilda's advancement into a more compatible grade. In this chapter, she is met with resistance by Miss Trunchbull who, like Matilda's parents, prefers to believe the worst about the little girl. Spend some time comparing and contrasting Miss Truchbull to Miss Honey. Having not had any luck convincing Miss Trunchbull of Matilda's exceptional abiltiies and needs, she tries to approach Mr. and Mrs. Wormwood – but is met with similar disbelief and resisetence. If you were a teacher, and had a student like Matilda, what would you do next? In this chapter, Matilda and her new friend Lavender meet a girl named Hortense, who is more than happy to relay the antics of their Headmistress. Then, they actually see her in action as she inflicts her own type of "discipline" on a student wearing pigtails. What does "throwing the hammer" mean? Why is Miss Trunchbull good at it? Why doesn't someone put a stop to Miss Trunchbull's discipline tactics? Miss Trunchbull strikes again! This time, the victim is 11-year old Bruce Bogtrotter. His crime? Eating some of Miss Trunchbull's special cake. This time, however, the student comes out on top! Why is Bruce's victory an important turn of events in the story? What is Lavender's "brilliant plot?" Why doesn't she share her plans with anyone? Miss Trunchbull discovers that Miss Honey has taught the students advanced spelling and math – which does not make Miss Trunchbull happy! As a result, Nigel, Rupert and Eric all suffer under the Headmistress. How were all of the children able to learn to spell an advanced work like "difficulty?" What does that say about Miss Honey? What method does Miss Trunchbull prefer? After Lavender's plot sends Miss Trunchbull into a rage against Matilda, we see the first indication that Matilda's powers go beyond just superior academic abilities! It appears that Matilda also has the power of psychokinesis. What is Miss Trunchbull's idea of the "perfect" school? What is a "miracle?" Why do you think Roald Dahl titled this chapter "The First Miracle?" Matilda tries to convince Miss Honey that she was responsible for what happened when Miss Trunchbull was in the room. At first, Miss Honey does not believe her – so Matilda performs a second "miracle" to prove it. The narrator says that Miss Honey looked at Matilda as if she were "The Creation, The Beginning of The World, The First Morning." (p. 176) What does the narrator mean by this? Make some predictions. What do you think the great mystery is? In this chapter, we learn more about Miss Honey, her background, why she lives the way she does and her unique relationship with Miss Trunchbull. Look at the prediction you made after the last chapter. Was it correct? Why or why not? Matilda pushes Miss Honey for more information about her aunt and her father. Then, Matilda reveals that she may have a plan to help Miss Honey. Miss Honey set out to help Matilda, and now it looks as though Matilda will be helping Miss Honey – instead. Now that you know the origin of the relationship between Miss Honey and Miss Trunchbull, make another prediction about how you think the Matilda book might end. Matilda practices her powers to the point that she actually becomes quite good at controlling them. Think about what you might do if you suddenly discovered you had powers, like Matilda. How would you practice? Miss Trunchbull is back teaching in the classroom. This time, the class tries to be well-prepared – but Miss Trunchbull tries to trick them. Just as Miss Trunchbull's anger begins to escalate, Matilda performs her third "miracle." What happens next is so frightening to Miss Trunchbull, that she actually collapses. Do you think Matilda will be in hot-water for what she has done to Miss Trunchbull? What evidence do you have from the story to support your answer? Miss Trunchbull disappears, and the will of Miss Honey's late father suddenly has resurfaced. We see that Miss Honey is not poor after all. As things change at the school for the better, Matilda finds that her powers have suddenly disappeared, and Miss Honey offers an explanation as to why. Mr. Wormwood is found out to be a crook, and the family prepares to leave the country – but Matilda and Miss Honey have other plans! This chapter could be called "The New Home" for several reasons. What are they? Be sure to check out the other study guide articles for the Matilda book by Roald Dahl! This includes a Character Summary and an exploration of the author. Dahl, Roald. (1988). Matilda. New York, NY. Scholastic.